Stellate Ganglion Block is a procedure that is used to treat and diagnose chronic pain of the upper extremities. It involves the introduction of medication to the stellate ganglion, a group of nerves located at the base and at the front of the neck. These nerves carry pain signals related to pain from the head, neck, upper chest and arms. What are the major indicators for having Stellate Ganglion Block? 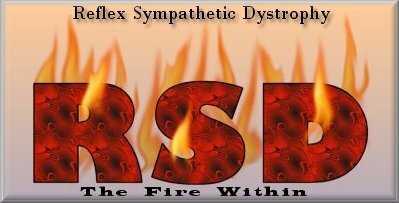 Complex regional pain Syndrome- also called reflex sympathetic dystrophy. Phantom Limb Pain- this is the pain that emanates from the amputated limb of patients. The sensation of phantom limb pain is normal and Stellate Ganglion Block helps relieve it. Herpes Zoster- also called shingles. This condition results to unrelenting and excruciating pain from one of the nerve regions in the head, arms or face. Stellate Ganglion Block gives tremendous pain relief for patients with this condition. What does Stellate Ganglion Block entail? 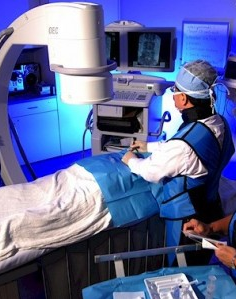 Stellate Ganglion Blocks entails the use of radiographic images and contrast medium during the procedure to prevent inadvertent injection of major blood vessels. It requires the patient to remain calm during the procedure and is reassured that the introduction of anesthetic and medication may cause a slight discomfort. What to expect when having Stellate Ganglion Block? 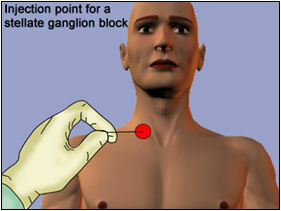 Stellate Ganglion Block is an outpatient procedure. Relaxing medications are given to the patient before the start of the procedure. The front of the neck is sterilized and numbed with a local anesthetic. Shoulder support is provided to help raise your chin and tilt your head back. Contrast dye is injected to confirm the placement of the needle before the delivery of an anti-inflammatory medication. After the medication is administered, the needle is then removed. If the pain is relieved using stellate ganglion block, additional treatment can be provided over time. How does Stellate Ganglion Block help the doctor provide treatment? Stellate Ganglion Block is the primary treatment for neuropathic pain. Stellate nerve blocks have been proven to reduce the intensity of chronic pain by decreasing the need to prescribe other pain medications that are ineffective and may cause adverse side-effects, helping doctors to alleviate the pain experienced. This has been the mainstay treatment for pain resulting from affected nerve endings. Your physician will further evaluate the underlying cause, etiology, and the location of the pain. What are the risks of having a Stellate Ganglion Block? the pain-free phase lasts longer with each additional injection. Like any surgical procedure, Stellate Ganglion Block carries some forms of risks and these include seizures, bleeding, lung collapse, uncomfortable numbness of the arms that may fade over time, temporary weakness and numbness of the neck, allergic reaction to the medication and contrast dye, and nerve damage and bruising at the needle entry site. What are the Benefits of Stellate Ganglion Block? The medication administered blocks the pain transmission in the stellate ganglion, resulting to pain relief. The therapeutic effect of Stellate Ganglion Blocks varies and it is critical to consult your physician for a follow-up check up related to pain relief and onset of untoward reaction to the Stellate Ganglion Block procedure.